Poach the quail eggs for approximately 90 seconds and refresh in iced water, then trim. 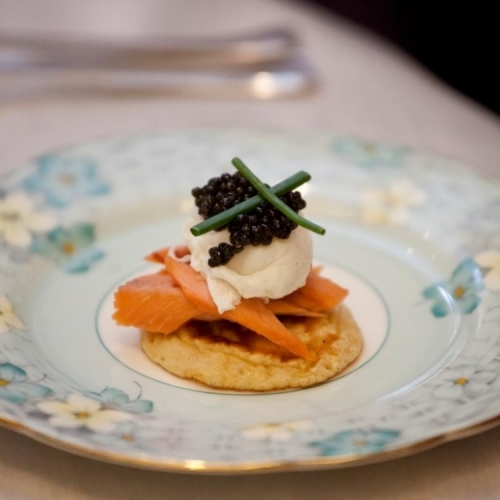 Using a blini, place a little piece of rainbow trout on the base, perch the softly poached quail’s egg on top. Garnish with caviar and chive flower.